British aircraft yesterday mounted a long-range mission against a military facility in the Libyan city of Sebha and conducted strikes on pro-Gaddafi troops at Sirte. A formation of Royal Air Force Tornado GR4s took off from RAF Marham in Norfolk on Sunday, 4 September 2011, and, flying south to the Mediterranean, rendezvoused with allied aircraft to lead a long-range strike mission. The strike was aimed against a group of military communications installations that form a key part of the former regime’s major headquarters complex at Sebha, in the Sahara. The RAF aircraft launched a large salvo of highly accurate Storm Shadow stand-off missiles against their targets. Meanwhile, RAF Tornados and Typhoons based in Italy at Gioia del Colle air base helped NATO maintain armed reconnaissance patrols over Sirte. During the evening our aircraft successfully attacked an ammunition depot nearby, as well as a self-propelled artillery piece and an armed pick-up truck, using Paveway and Brimstone guided weapons. 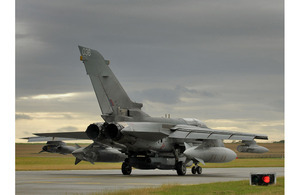 On Saturday, RAF aircraft hit military facilities near the Libyan towns of Waddan and Sirte. With NATO maintaining an intensive air presence over those areas of Libya where Gaddafi’s troops remain a direct threat to the civilian population, Royal Air Force aircraft flew armed reconnaissance patrols over Waddan and Sirte. South west of Waddan, Tornado GR4s struck eight military command and control installations on Saturday morning, scoring direct hits on all the targets with Paveway guided bombs. At the same time, another formation of Tornados struck nine weapons and ammunition stores near to Sirte, again scoring direct hits on all nine targets. As ever, these and other allied fast jet operations were well supported by NATO’s large fleet of combat support aircraft, including RAF VC10 and TriStar tankers, and Sentry and Sentinel surveillance assets. On Friday, 2 September 2011, RAF aircraft flew a number of armed reconnaissance missions as NATO maintained its patrols over those areas where the civilian population remains subject to the oppression of Gaddafi’s remaining troops. 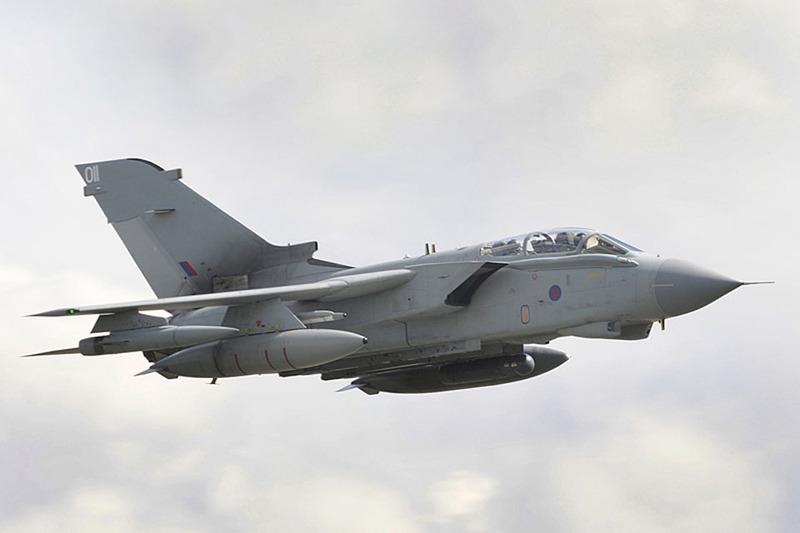 In the course of the afternoon, RAF Tornado GR4s conducted a precision strike on three buildings in Bani Walid which were being used by former regime forces as a depot for military vehicles. All three targets were destroyed by Paveway laser- and GPS-guided bombs. Since the start of military operations on 19 March, Royal Navy, Royal Air Force and Army Air Corps strikes have damaged or destroyed over 910 targets that were being used by Gaddafi’s former regime to threaten the Libyan population, ranging from secret police headquarters and command bunkers, to tanks, rocket launchers and armed trucks.